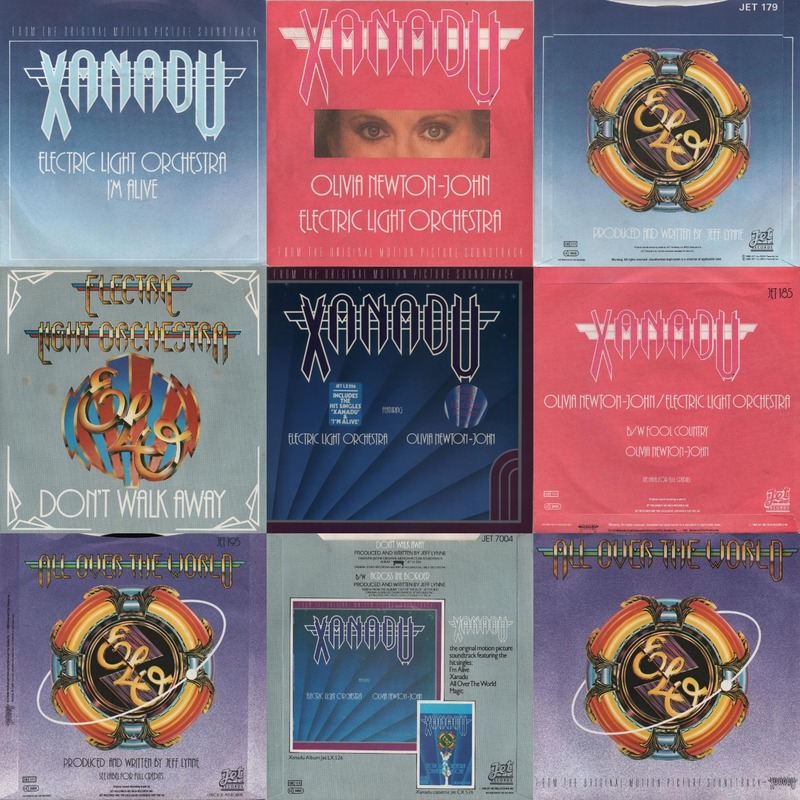 Nestled nicely between the Electric Light Orchestra's chart topping albums "Discovery" (1979) and "Time" (1981) is their five song contribution to "Xanadu" OST in 1980. It's an album that some ELO fans shudder at and others embrace as much as their other studio efforts. Whilst the film has taken on a cult following in latter years and "Xanadu" has been successful adapted to the stage on Broadway and elsewhere, the songs written by Jeff Lynne (all ELO trax) and John Farrar (all Olivia Newton-John trax) for the movie have been far more enduring. "Xanadu" peaked at #2 (UK) and #4 (US) in August 1980 and amazingly provided no less than six Top 40 UK singles including, of course, a #1 for ELO/ONJ as well as three hit records for ELO in their own right: "I'm Alive" (#20); "All Over The World" (#11) and "Don't Walk Away" (#21) plus two for Olivia Newton-John: "Magic" (#32) and "Suddenly" (#15). "Magic" also topped the chart in the States. It's noteworthy that "The Fall" was the only ELO track not to be released as a single! The irony for both avid and casual fans alike is that recent Jeff Lynne's ELO crowd favourite "All Over The World" is indeed a "Xanadu" track and the ELO maestro includes two songs from JETLX526 in his set lists not forgetting that it is also the name of a certain #1 greatest hits compilation with over one million sales since 2005! As far as Yours Truly KJS and elobeatlesforever (elobf) are concerned, "Xanadu" counts as a bona fide ELO album on account of its content, initial success and continuing appeal. It is therefore surprising if not a little disappointing that the "Xanadu" OST has not been given the same expanded treatment as other ELO albums. There is certainly enough material out there to append to the original tracks. 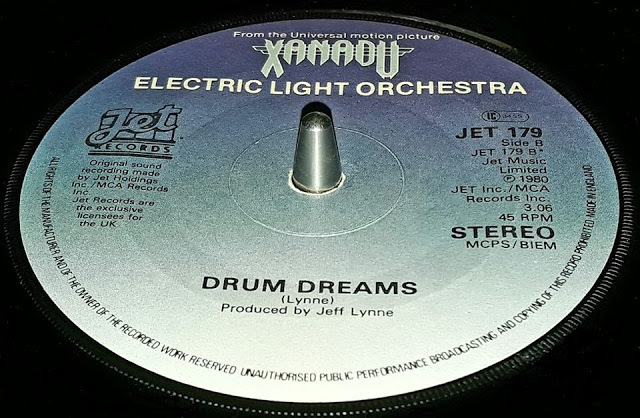 "Drum Dreams" (the flip side to "I'm Alive" and "All Over The World in the US) comes to mind as does the extended "Xanadu Overture" as featured in the finale as well as the rather wonderful lengthened synth intro to "I'm Alive" accompanying the arrival of the muses in the opening sequences of the film. Add to that ONJ's "Fool Country" and an expanded, remastered "Xanadu" reissue is not so difficult to imagine which would doubtless will appeal to both ELO and Olivia Newton-John fans! The only issue might be sorting out the publishing rights between Jet (Sony) and MCA (Universal). An outing in 180g vinyl would also be nice. Music On Vinyl take note! Xanadu Side A: ELO or ONJ? Xanadu reached No 1 in the UK, the only No 1 that the band had. Not all cult classics are good movies though. Xanadu is loved for its atmosphere and cool moments, not build quality (if movies were cars).